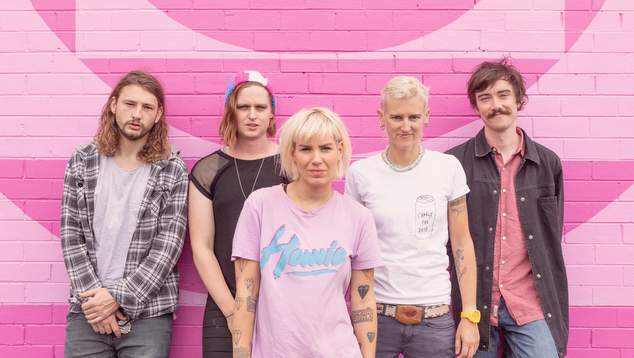 Perth band, Axe Girl are about to release their new single, 1981. It’s their first new material since 2014 and there’s been some changes in the bands line-up. The nucleus of Addison Axe (vocals and guitar) with Vanessa Thornton (bass) remains, and the band now also comprise Brendan Biddis (guitar), Elle Walsh (keyboards and guitar) and Fraser Cringle (drums). New single, 1981, is the first release from Axe Girl’s upcoming album, due out in February 2019. Already a staple of their live shows, 1981, revolves around a spiralling guitar riff and driving, funked up bass line that, once they’re in your head, are there to stay, taking up a residency that delivers on every listen. Take a listen to the new track. Axe Girl will launch 1981 at The Aardvark on 7 September with support from Fuzz Toads and Priscilla.